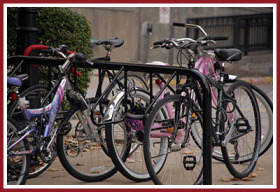 The Southwestern PA Commission is pleased to announce that the Transportation Alternatives Set-Aside Program, formerly the Transportation Alternatives Program, or TAP, will begin accepting applications for funding on Monday, July 10th. The Transportation Alternatives Set-Aside (TA Set-Aside) Program is a dedicated federal funding program that assists in advancing the Vision, Policies and Strategies found in Mapping the Future: The Southwestern PA Plan - the region's adopted long range plan. The TA Set-Aside Program is an implementation vehicle for locally sponsored projects to provide accessibility, mobility and environmental benefits to communities, and the region as a whole, by advancing new connections to community activity centers, public transportation, and recreational facilities through the provision of safe and secure multimodal facilities. 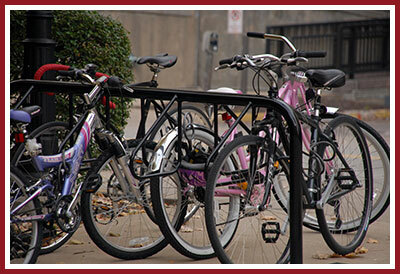 The TA Set-Aside Program provides funding for programs and projects defined as transportation alternatives, including on- and off-road pedestrian and bicycle facilities, infrastructure projects for improving non-driver access to public transportation and enhanced mobility, community improvement activities, environmental mitigation, recreational trail program projects, and safe routes to school projects. A webinar for potential project sponsors will be held on July 13th at 1:00 PM. Potential project sponsors are strongly encouraged to participate. The call-in number, pin, and visual access links can be found in PennDOT's Program Guidance document, here. For more information and application instructions for SPC's Transportation Alternatives Set-Aside Program, please visit: http://spcregion.org/trans_plan_tap.shtml.